It is with regret we inform you that 23243982 Cpl Cyril (Squeak) Davis died on the 27th July 2016 aged 79 years. Cyril enlisted into The Worcestershire Regiment on 12th June 1955, serving in Iserlohn, Germany; Kingston, Jamaica; Norton Barracks; and discharged May 1962. In civilian life Cyril started off being a milkman, then ran a fish and chips shop. He went to Australia for three and a half years. When he came back he worked at Garringtons for 28 years. It is with great sadness that I inform you tha,t 23856031 L/Cpl Ernest Dee from Worcester passed away on Saturday morning on 25th may 2013 aged 71. Ernie enlisted with the 1st Battalion Worcestershire Regiment in September 1962. After training in Lichfield joined the Battalion in Minden in January 1963, where he completed 6 years with the colours and was finally discharged after 14 years with the reserve in September 1982. Norman went on to serve 15 years with the 5th Battalion South Staffords Regiment (V). His funeral is to take place on Wednesday 11 January 2012 at 1230 hours Stafford Crematorium. The family would appreciate it if Standards could be in attendance. Sgt T. C. Dutton of Bromsgrove aged 93. He was called up on April 1943, landed in Normandy with the 1st Battalion, The Worcestershire Regiment, in June 1944 and fought through until wounded near Vernonnet on 27 August. Sgt before discharged in September 1947.
was posted to the Infantry Demonstration Battalion at Warminster until he was old enough in 1975 to be posted to the 1st Battalion The Worcestershire and Sherwood Foresters in Ballykelly, Northern Ireland. He served in NI, Colchester and Belize before leaving the Army in May 1979. Brother of WO2 Ian (Eddie) Edwards and LCpl Mick Edwards. It is with regret that we inform you that 23806764 LCpl William EVANS of Derby died on 19 July 2014 aged 75. Bill served with 1 Pl G (HSF) Coy 3 WFR (V) and completed his service on 5 March 1993. It is with regret that we report that 22326405 Pte Richard FAULKNER of Worcester died on 18 February 2012 aged 80. Richard served with 1st Battalion The Worcestershire Regiment in Malaya with 12 Pl D Coy 1950 – 53 and was wounded in a ‘blue on blue incident’ with B Coy near Tenang. For those wishing to write in condolence to his wife Pamela, her address is; 21 Ronkswood Crescent, Worcester WR5 1JY. 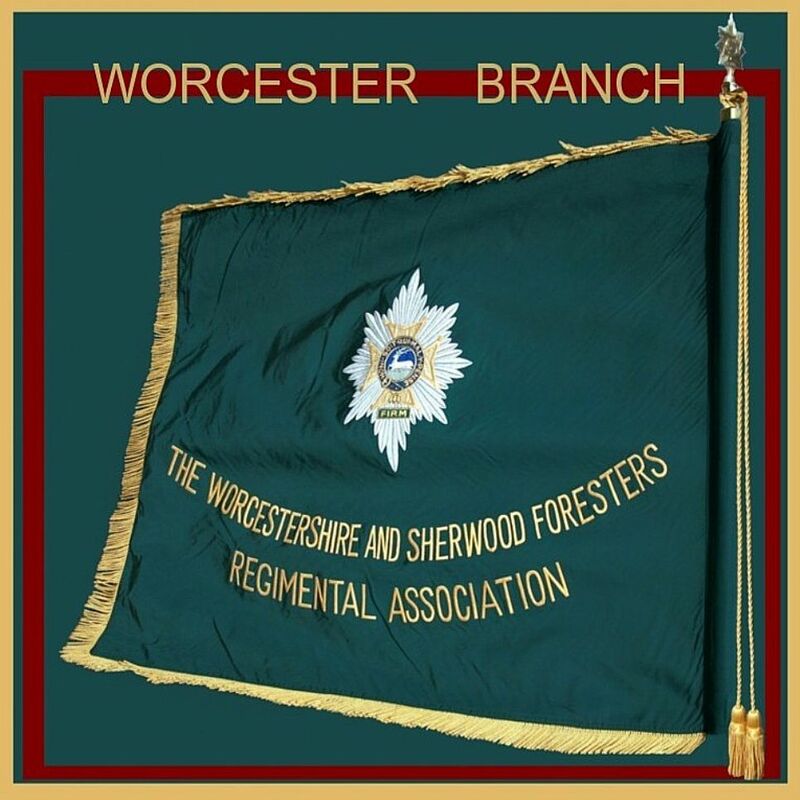 The funeral is to take place at 1145 hours at St Walston Church, Cranham Drive, Worcester followed by a committal at Worcester Crematorium at 1230 hours. Standards welcome.